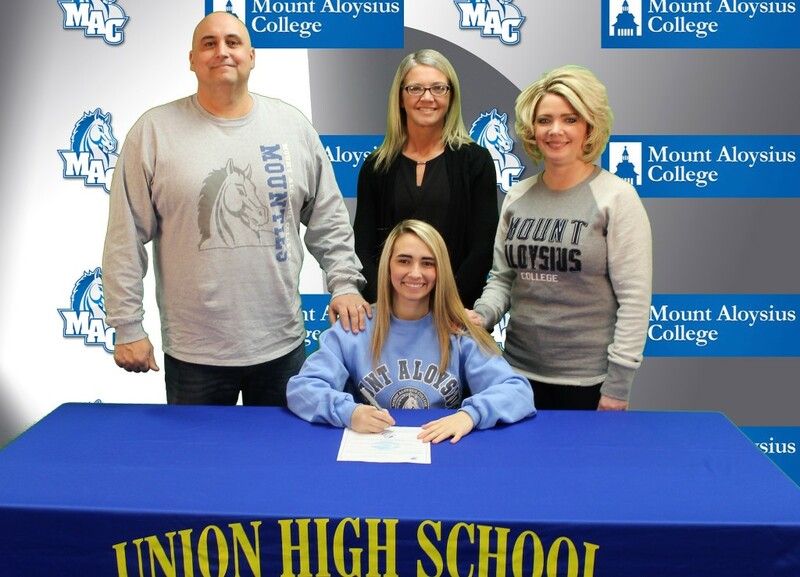 RIMERSBURG, Pa. (D9Sports) – Hannah Atzeni, a senior at Union High School, recently committed to playing volleyball at Mount Aloysius starting in the fall. Atzeni was a four-year letter winner in volleyball for the Golden Knights while also earning four letters in basketball and three in track and field. This past season, Atzeni recorded 427 set assists her senior year and 1,018 in her career. She was voted Player of the Year by her teammates and received the Coaches Award, which is given by her coaches for leadership, aggressiveness, dedication and attitude. She has severed as the Vice-President of the Volleyball Club and the Vice-President of the Sports Club while also serving as president of the Roundball Club and Vice-President of the Travel Club and is also a member of the National Honor Society. At Mount Aloysius, Atzeni plans on majoring in Ultrasonography with plans to become an Ultrasound Technician. She would like to specialize in either O.B. or echocardiography. She is the daughter of Rick and Shelly Atzeni.